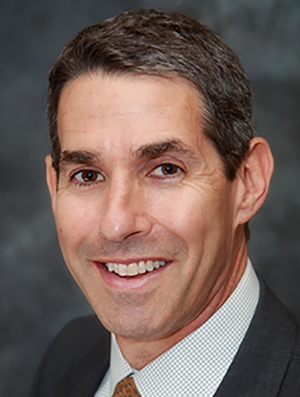 Steven Stovitz, MD, MS, is a family physician and a subspecialist in primary care sports medicine. He is the Director of the DFMCH's Sports Medicine Program and serves as Associate Editor at the British Journal of Sports Medicine and Medicine and Science in Sports and Exercise. His main research interest is the interpretation and translation of research findings for the practice of Evidence-Based Medicine. He has particular interests in how the principles of Causal Inference apply to clinical decision making, and also in how the statistical literacy of clinicians affects the shared clinical decision making process. Dr. Stovitz serves as a physician for the USA National Volleyball teams. My main research interest is in the interpretation and translation of research findings for the practice of Evidence Based Medicine. I have a particular interest in how the principles of Causal Inference apply to clinical decision making and also in statistical literacy for clinicians. Ten recent publications are listed here. Stovitz SD, Shrier I. Causal inference for clinicians. BMJ Evid Based Med. 2019 Feb 14. pii: bmjebm-2018-111069. doi: 10.1136/bmjebm-2018-111069. [Epub ahead of print] PubMed PMID: 30765385. Stovitz SD, Banack HR, Kaufman JS. 'Depletion of the susceptibles' taught through a story, a table and basic arithmetic. BMJ Evid Based Med. 2018 Oct;23(5):199. doi: 10.1136/bmjebm-2018-110972. Epub 2018 Jul 7. PubMed PMID: 29982175. Stovitz SD, Banack HR, Kaufman JS. Paediatric obesity appears to lower the risk of diabetes if selection bias is ignored. J Epidemiol Community Health. 2018 Apr;72(4):302-308. doi: 10.1136/jech-2017-209985. Epub 2018 Jan 26. PubMed PMID: 29374028. Stovitz SD, Banack HR, Kaufman JS. Structural Bias in Studies of Cardiovascular Disease: Let&#39;s Not Be Fooled by the "Obesity Paradox". Can J Cardiol. 2018 May;34(5):540-542. doi: 10.1016/j.cjca.2017.10.025. Epub 2017 Nov 7. PubMed PMID: 29289401. Stovitz SD, Verhagen E, Shrier I. Distinguishing between causal and non-causal associations: implications for sports medicine clinicians. Br J Sports Med. 2017 Nov 21. pii: bjsports-2017-098520. doi: 10.1136/bjsports-2017-098520. [Epub ahead of print] PubMed PMID: 29162620. Stovitz SD, Satin DJ, Shrier I. Shared Decision Making Regarding Aspirin in Primary Prevention of Cardiovascular Disease. JAMA. 2016 Dec 6;316(21):2276. doi: 10.1001/jama.2016.16748. PubMed PMID: 27923084. Stovitz SD, Weseman JD, Hooks MC, Schmidt RJ, Koffel JB, Patricios JS. What Definition Is Used to Describe Second Impact Syndrome in Sports? A Systematic and Critical Review. Curr Sports Med Rep. 2017 Jan/Feb;16(1):50-55. doi: 10.1249/JSR.0000000000000326. Review. PubMed PMID: 28067742. Stovitz SD, Verhagen E, Shrier I. Misinterpretations of the &#39;p value&#39;: a brief primer for academic sports medicine. Br J Sports Med. 2017 Aug;51 (16):1176-1177. doi: 10.1136/bjsports-2016-097072. Epub 2016 Nov 24. PubMed PMID: 27884863. Stovitz SD, Shrier I. Which estimates comprise optimal reporting in Systematic Reviews? J Clin Epidemiol. 2017 Jan;81:140. doi: 10.1016/j.jclinepi.2016.05.013. Epub 2016 Jul 7. PubMed PMID: 27394674. Stovitz SD, Berge JM, Wetzsteon RJ, Sherwood NE, Hannan PJ, Himes JH. Stage 1 treatment of pediatric overweight and obesity: a pilot and feasibility randomized controlled trial. Child Obes. 2014 Feb;10(1):50-7. doi: 10.1089/chi.2013.0107. Epub 2014 Jan 10. PubMed PMID: 24410433; PubMed Central PMCID: PMC3922232.